Kate Spade New York: Oh. My. God. I don't care if the Kate Spade collection is super "commercial" I'm in love! Kate Spade never fails to amaze me to create quirky and unique pieces. I'm lusting over the bumble bee and the Dalmatian bag! 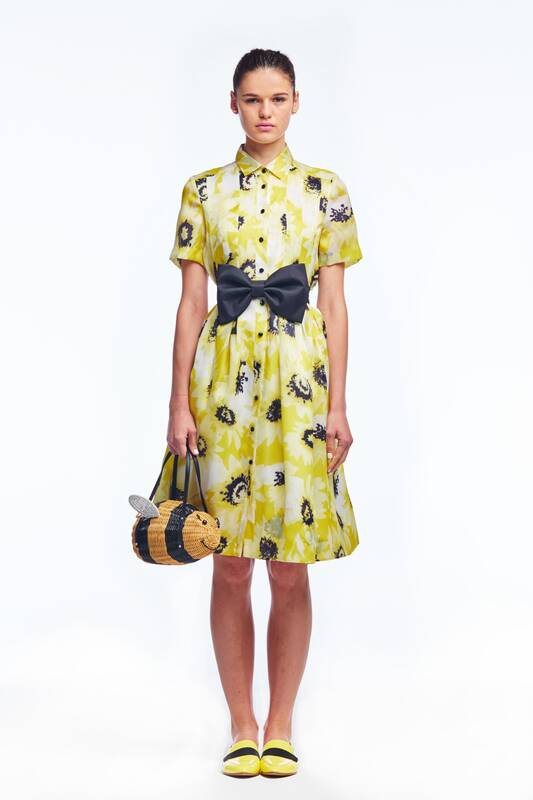 From adorable purses to gorgeous dresses the Kate Spade Collection wow-ed me as usual. I just wish I could have been there for the free flower bouquets. 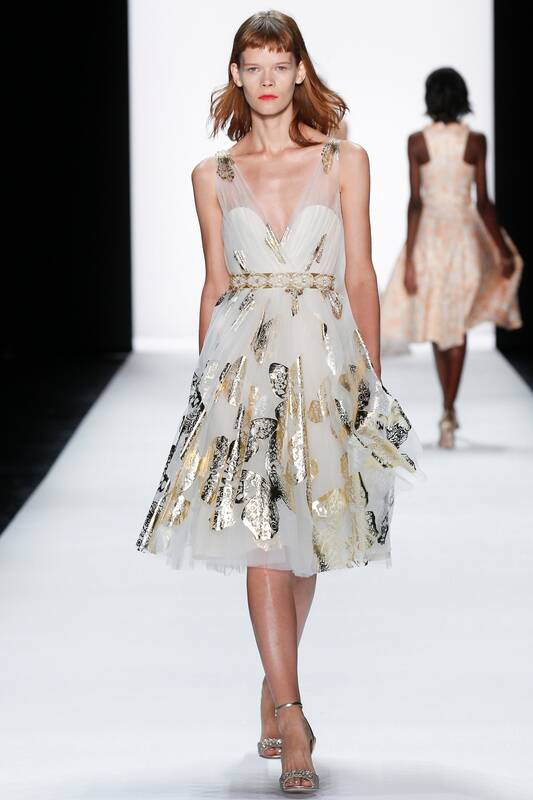 Badgley Mischka: I am in love with the feminine and whimsical touches of the Badgley Mischka show! Visions of tweed, metallics, and soft fabrics were the theme of this show. I loved every bit of it! Carolina Herrera: This gorgeous collection has Dior touches written all over it. I love feminine and classic style and I think Carolina Herrera embodies that. Pleats were a major trend for the NY runway and this collection takes a girly twist on them. Also, I'm loving all of the blush tones of this collection! Christian Siriano: Christian Siriano is always a favorite of mine. I'm in love with his formal wear pieces embellished with crystals and beading. This fringe skirt and crop top is a major favorite of mine! Fringe was also a major trend on the runway and this is a very chic way to do it. Another dress I love is a blush scallop beaded dress with three quarter sleeves. If only I had the occasion and money to get one of his pieces! What are your NYFW favorites? Let me know in the comments! Sew Cute Abroad: My first Laduree Experience!